Without a doubt, today’s marketplace is highly decorative. 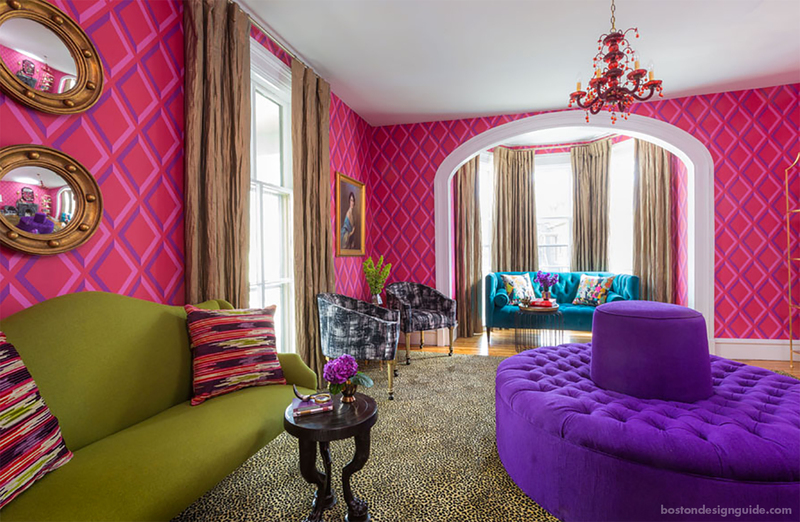 Homeowners and interior designers alike are making bold and offbeat choices with furnishings and floor coverings that are wildly successful and unique. Homes are reflecting personalities, preferences and the travels of occupants. This out-of-the-box thinking results in some pretty electric and extraordinary spaces. 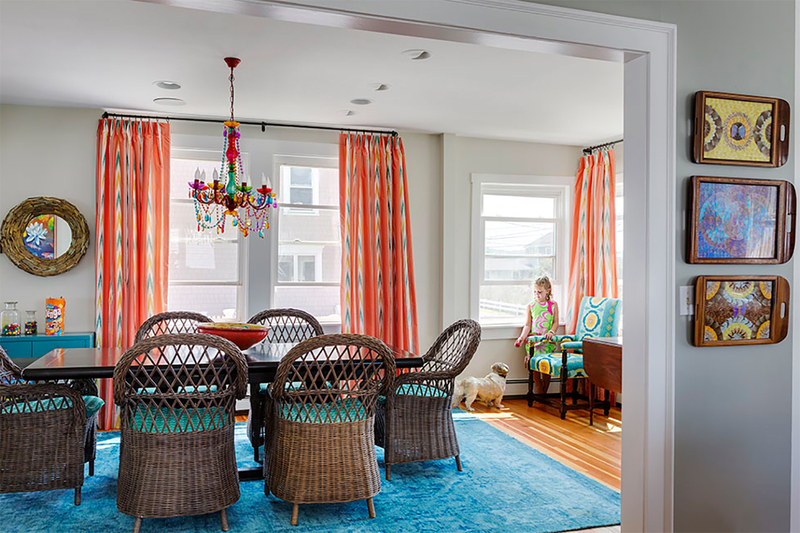 Designers, like Heather Vaughan of Heather Vaughan Design, takes color to a higher level in a Scituate home, by pitting tangerine against an azure blue rug, and decking out the dining room in a deep brown wicker. There’s no real rulebook here, just happy, multilayered spaces that the family loves to live—and play—in. In many eclectic interiors, the eye is taken on a journey throughout the room, drinking in every piece. 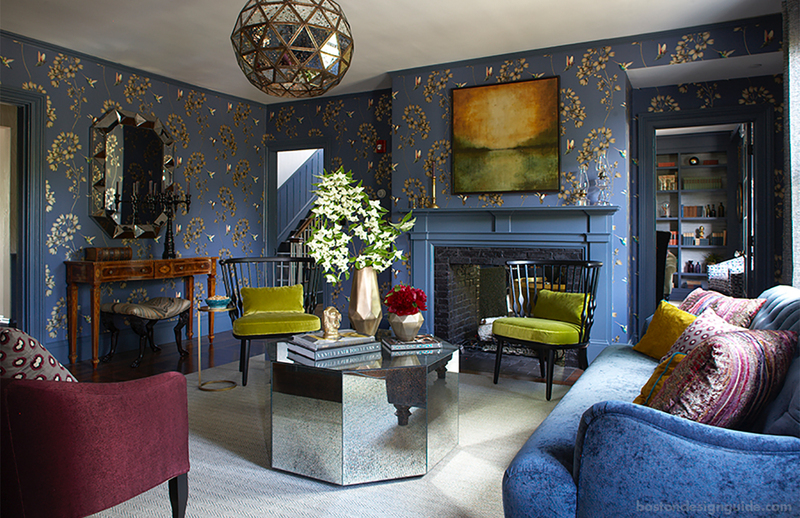 So it is with Rachel Reider Interiors' living area above, created for Concord's Hawthorne Inn. The firm took "a novel approach" to the interior design, weaving a residential feel that reflects both the literary roots of the area as well as 21st-century creature comforts. The rug and ceiling are the sitting room's only quiet elements, drawing the focus instead to lively papered walls, colored moldings, sumptuous velvet furnishings and mirrored accents that evoke nearby Walden Pond. Often, eclectic interiors have a global appeal. Yet spaces don't have to incorporate color to take on a worldly vibe. Sue and Maureen Walsh of Artefact Home|Garden make it a point to stay neutral, but their inventory is rife with pieces with an international flavor. 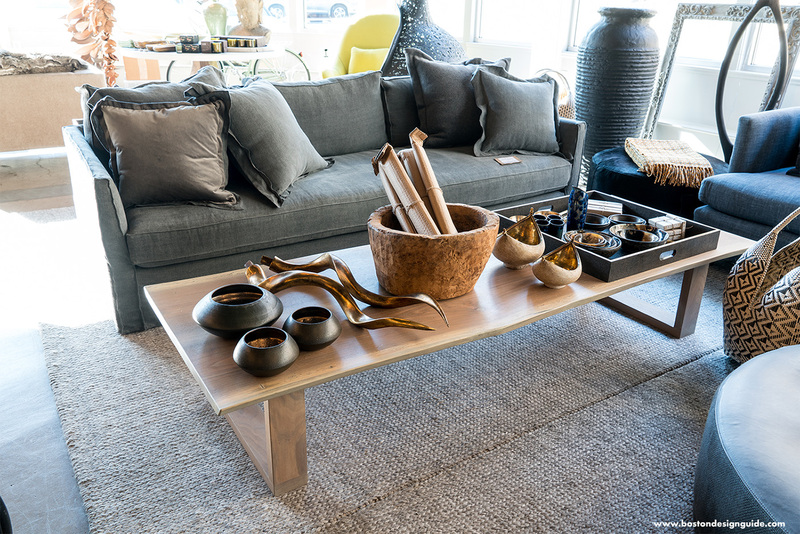 The store regularly brings in singular treasures from Indonesia—stone slab coffee tables, rough-cut onyx side tables—that work well with the other furnishings and accents in store. 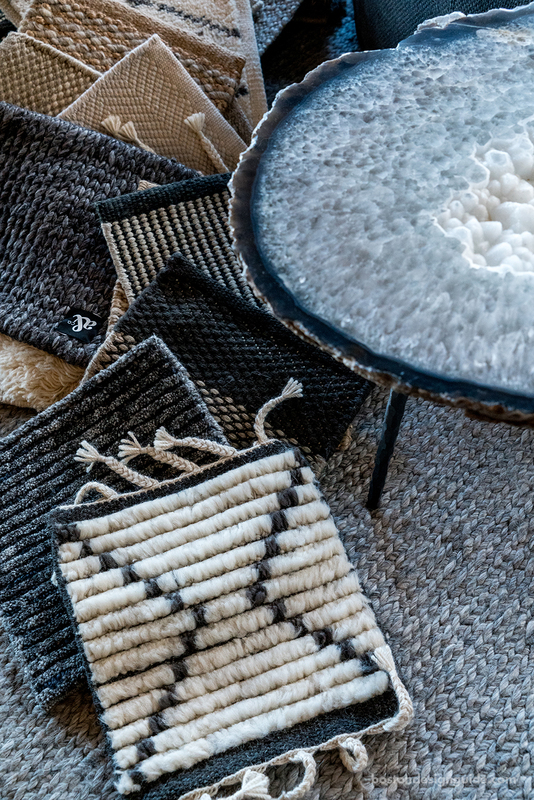 Most of Artefact’s rugs are 100% wool, says Maureen Walsh, though some are wool and hemp, in natty, natural tones that complement the store’s beautiful, durable Belgian linens, including their popular Verellen brand. 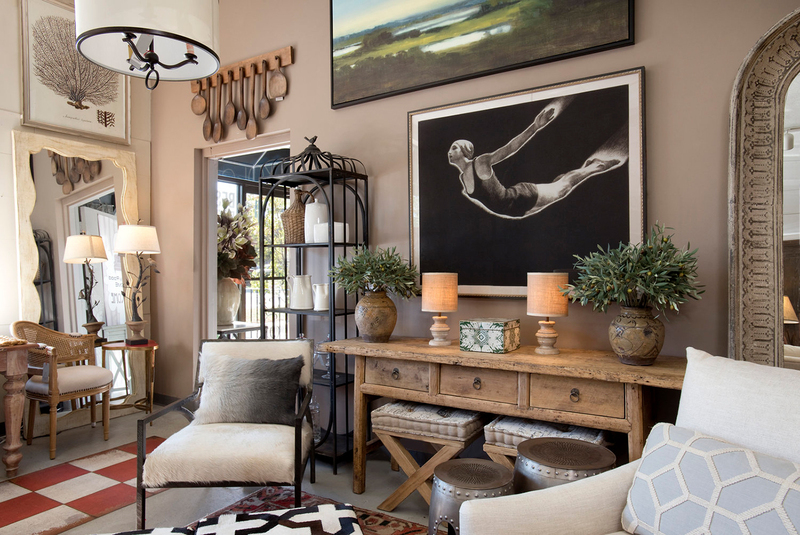 Darby Road Home also features a collection of case goods, furnishings, art and prints that lend themselves to unique and highly individualized interior designs. From neon signs announcing “YOLO” to vintage tables built atop bicycle wheels, their offerings speak to their customers, who are certain to know just the place for their selections. Many pieces, like the wrought-iron ivory hair on hide chair, shown below alongside a small Oriental rug, are versatile and at home in settings of any style. DESIGN TIP: Eclectic spaces often call for a custom upholstered chair or set of chairs that playfully but purposefully bring the space together. 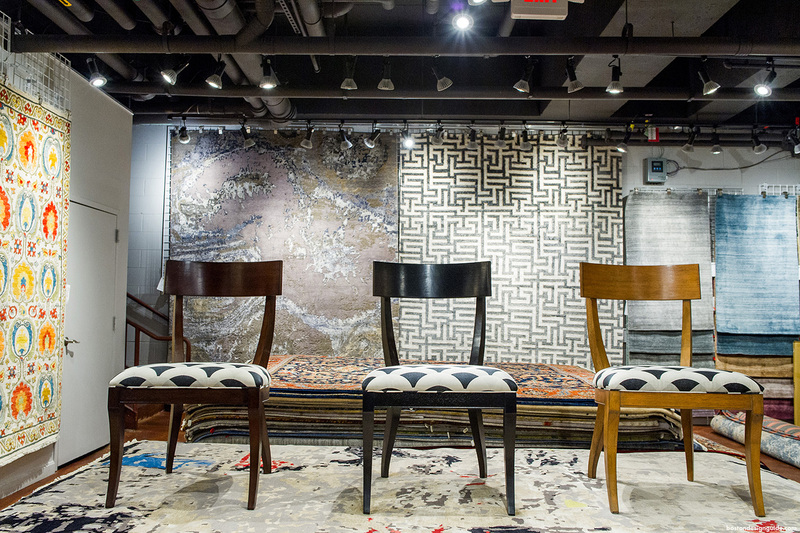 Dowel Furniture, an online yet Boston-based furniture maker, customizes high-end chairs in a wealth of fabrics, patterns and styles. Though Dowel Furniture’s make-your-own pieces lend themselves to virtually any interior design style, homeowners and interior designers can have fun with these pieces and “go as custom as they like,” says cofounder Joanne Hallare Lee. The Regine Louis XIV Side Chair is the most popular, says Lee. Available in six different finishes, it can be swathed in velvet, solid linen or stonewashed fabric, and in varying patterns (even your own!). 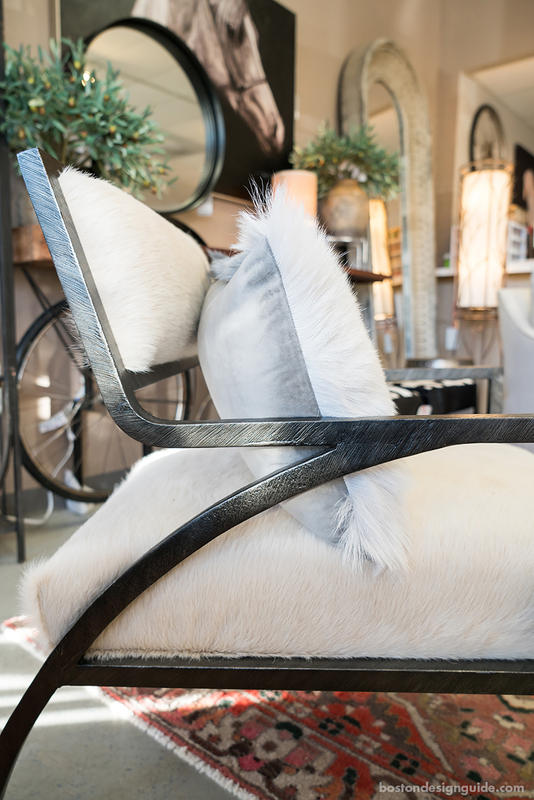 Try mixing fabrics on the same chair or accessorizing it with nailheads or ribbon and leather piping.